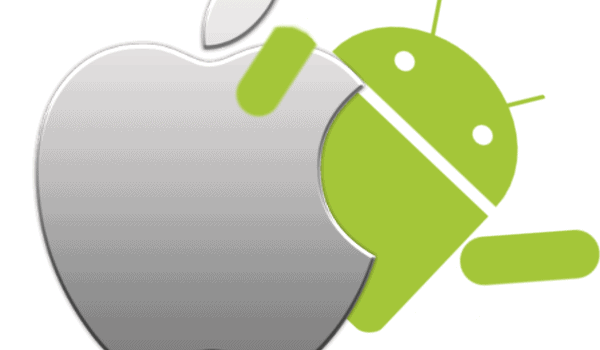 Android or iOS: Which one wins the fight at app development? If Smartphone is a complete compound, apps are like its atoms. In fact, Cupertino wasn’t having the specialised stores initially. By the year 2009 there were more than five hundred applications available for the platform. Once, it was Microsoft to rule the app arena through Windows mobile platforms. Anyway, scenario has changed. And, there is a constant battle going on this context; that is between Android and Apple/iOS. Both have exhibited enough of their strength. It’s time now to declare a winner. Let’s do it after few considerations. Undoubtedly, no compromising in terms of quality is the biggest cause for such dominance of iOS apps. The tools are always made in accordance with the processor and OS of the concerned device. For coders, channelling to the iPhone’s passionate users has been always interesting as the Cupertino is not too financially greedy about the applications. About seventy percent of the business goes to the coders, and the company keeps the rest. The others expenses are also taken care by the Cupertino. It has always used apps for increasing faith among the users, rather than business. To be honest, Apple proved on how to be successful in terms of apps financially as well. By the time rivals raised, Apple was already established at the zone. However, scenario was different after Androids joining the flow. The most distinguishing part about the Apple is that it manages to present perfectly about their intention. Market research firms report by the year 2014 Apple’s store was having about sixty five percent better returns than Android. On the other hand, Google Play’s global download was pretty much higher that Cupertino about sixty percent. This is so as Android is more popular at smaller markets. It’s now apparent that Cupertino is still having the capture over big zones, or it has been favourites for rich and techies. Still, the number of applications made or number of coders working with it are higher. In terms of quality, Android is definitely can’t match iOS. Coder usually have a preference, as development is not just about the codes, rather interface holds a lot of value as well. On this regard, iOS always have been the first choice. But, the growing markets prefer Android, certainly. Yes, it’s true that Apple is still clueless about entering the economical markets, as Android has perfectly scanned the mindset of both the users and the developers. Again, the good news for the Cupertino fans is that it is growing with business significantly in China. In fact, the statistics say it has grown business here in comparison to the United States. Factors like bigger display and sleek interface are attracting more the passionate users. A latest dimension has been derived in contemporary days in the form of wearables. Android has already initiated the process, and Cupertino is all set. These devices certainly provoke coders for more effort and encourages as well. Both the biggies are certainly hoping best. Now the coders are too busy in making their products better compatible with these wearables. Apart from this, the other concerned factors like networks, cost, and hardware units also play a big part for someone to decide on which platform they choose. Android is certainly appreciable, but if you have to go with any one, then undoubtedly Apple always wins the favour and loyalty. This is the guest post by Christopher Austin and Makeover Games 365!